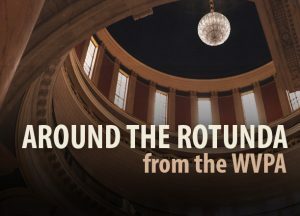 Jan. 31 — WV Nurses Unity Day, Upper House, Upper Senate and Upper Well Area, and Lower Rotunda. Feb. 1 — West Virginia Press Association Breakfast at Embassy Suites, 7:30 a.m . until 9 a.m.; WV Hospital Day at the Legislature, Upper House, Upper Senate Rotundas and Upper Well Area.